Inman Connect is the premier real estate technology event for anyone who cares about the real estate industry and where it is headed. Each year, thousands of influential real estate leaders gather at Inman Connect to network, make deals, explore current trends and technology, and to learn how to embrace and leverage the change that surrounds our industry. Inman Connect celebrates its 20th year in 2016, with its first conference in New York City, January 26-29. The Inman Connect four-day event will explore what’s next for real estate, bringing together top-notch leaders, companies, and technology start-ups who are pushing the industry forward. With more than 100 speakers, attendees will get a look at what’s ahead, and what is important in trends, technology, and consumer behavior. Attendees of the event get a chance to network with industry leaders like no where else. 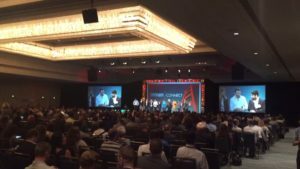 Professionals get a chance to meet executives at the top real estate franchises as well as entrepreneurs who are bringing new products to market. 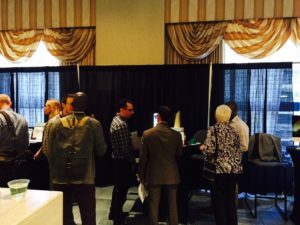 There are keynote presentations, fireside chats and workshops such as Broker, Agent, MLS and Technology Success Tracks. Inman Connect Startup Alley features companies that are breaking new ground in real estate technology. More than 30 upstarts will be demonstrating their cutting-edge technology to all Inman Connect attendees. Once again, SnApp has been selected to present in Startup Alley, as one of the leaders in real estate innovation and. Attendees will have an opportunity to see how our application platform works, and what it is doing for successful agents and brokers everywhere. SnApp is one of 16 sponsors at this year’s Inman Connect NYC. If you are an industry leader, or you just want to rub elbows with them, you need to be at this one-of-a-kind event! To compete in today’s market, real estate agents and brokers need their own personal mobile apps. Here at SnApp Real Estate we build high performance real estate mobile apps, that will help you streamline your business and connect with clients easier. Get a head start on the competition with a new real estate app for the new year! This entry was posted in application development company, Mobile Apps for Real Estate Agents, real estate technology, SnApp, SnApp Development and tagged application development company, mobile apps for real estate agents, real estate technology, snapp, snapp development. Bookmark the permalink.